Networks used to be described as the backbone of the enterprise. Today, they might be better described as the lifeblood – vital to everyone in the digital age. If you don’t have your finger on the pulse of your whole network, you’re not meeting today’s demands – and won’t meet tomorrow’s either. Get unified network performance monitoring for any size network. 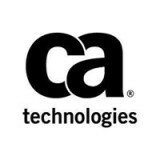 CA Technologies next-gen network performance monitoring platform delivers a truly innovative NetOps experience—with unified network performance monitoring that brings broad capabilities to acquire, present and analyze network performance metrics across traditional, SDN, SDDC, SD-WAN, NFV and hybrid-cloud architectures in a one-dashboard experience.